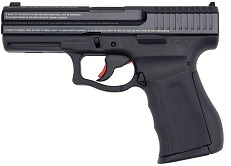 Home Firearms Enter to win a FREE FMK 9mm! Gun Giveaway: Our Online Gun Shop Gives Away Free Guns Every Month! We want the world to know about our online gun store, Florida Gun Supply, so we’re giving away free guns every month! Free FMK 9mm – With Bill of Rights Inscribed!